I am not going to go crazy here as you can read the entire story over in brewery hops, but Gabriel Magliaro, the owner, gave the tour so it was thorough. The brewery is actually two stories with their grain and barrel aging being done on the second floor. The tour started about 15 minutes late as people continued to pour (no pun intended) into the brewery past the 25 person limit, quickly passing 70. No worries beer was served and continually served throughout the entire time of the tour (about an hour). Gabriel even radioed for more beer to keep the crowd pleased. Now that is service for a free tour. I talked home brewing with several others visitors and didn’t hear a ton on the tour. 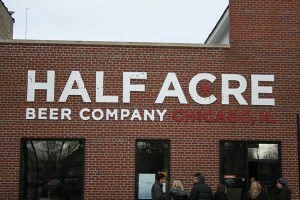 I plan on going again so I can hear about the history and capacity of Half Acre. Enjoy! From time to time I bring up the cost of pickling the liver with American craft beer. Compared to the macros, the cost of craft beer is much higher and, in some limited releases, ludicrously high. I recently remembered seeing an add for a macro at about $15.00 for a case and thinking that was high from when I was in college (20 years ago already, age is catching up quickly). Yesterday I purchased a case of Hopslam for $68 after tax. I have paid more than $10 for a bomber which is less than two beers. So how could $15 for a macro case sound expensive? Yes, better ingredients cost more money as there isn’t the high amount of adjuncts. free run 4.0 v3 femmes Also, the craft brewers don’t have the buying power for their ingredients as they are using no where near the same amount; no bulk discounts. Bottling and distribution of beer is a very labor intensive and monetarily expensive part of brewing. These and other factors force craft brewers to pass these costs onto the consumer. The price of quality over quantity. I guess you could say it is a hobby of sorts. Anyone that has ever had a hobby can attest to the fact that they do not come cheaply. There are ways to keep costs down within a “normal” hobby: diy, go smaller, buy smaller, buy second hand, etc. Most of these cost reducing methods don’t work in the craft beer world. DIY would be brewing your own and doing away with craft beer completely (I home brew but still enjoy the craft beers, a lot). Go smaller, a beer is a beer, I can’t buy a smaller version of it. Second hand beer sounds like urine to me. Just as my list above could continue, so could I here. What does it all really mean? Hopslam, as mentioned above, at its case cost, is still less than $3 per 12 ounce serving. Not bad for an outstanding beer that has 10% alcohol and is a limited release. I would pay at least that in a bar for a bottle of macro. An easy decision when looked at in this manner. As for the expensive bombers: limit the number that I buy. Overall, be selective with the beer that I purchase, do my homework online to see the thoughts of others on a particular beer, and, most importantly, stop going to the damn liquor store two or more times a week. 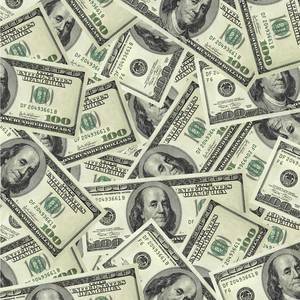 Simply put: create a budget as you would on any other facet of your spending self. Enjoy! There are some beers that I purchase out of pure curiosity. Magnus by Half Acre Beer Company fits perfectly into to that motif. free run 5.0 In this case I was curious about the brewery and what they had to offer, since they are the new kid on the block while being readily available, somewhat, in the Chicagoland area. The curiosity also extended to the fact that Magnus is a Schwarzbier, a style that I haven’t found much of in the American craft beer industry (to this point, maybe I have also subconsciously avoided). I opened Magnus with blind faith that I would enjoy this beer as I had Daisy Cutter Pale Ale, possibly placing Half Acre as a quick up and comer on the craft beer scene. Off with the cap, let’ try this sucker out. Half Acre is quickly building its’ reputation with me. I have a bomber of Big Hugs Imperial Stout that I cannot wait to taste and rate. Enjoy! In my quest to have enough bombers to bottle my latest two batches of beer, I tasted and reviewed Anvil ESB Ale by AleSmith Brewing Company. Anvil is an extra strong bitter and is my fourth beer from the California based brewery. I hope to have several tastings tonight as the weather shouldn’t keep me from getting home in a timely fashion. Enjoy! Tomorrow will mark my fourth brew day in my short lived home brewing career. 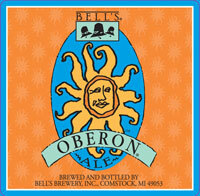 I am brewing an Oberon clone that is very lightly tweaked and is mainly for the wife. I should be getting the day started around 11:00am. We shall see how close I hit that number. 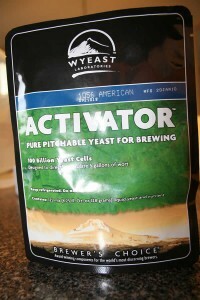 A friend from my brew club, Chuck, is stopping by to lend advice, talk home brewing, drink some beers, and hang out. 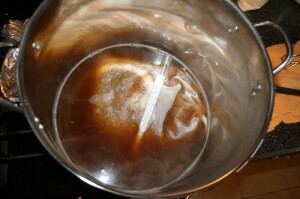 I will be putting up the recipe and notes about the brew day tomorrow night. I will be dry hopping my Ladies Day American IPA tomorrow also. That should be ready to bottle in two weeks. Enjoy! I am running low on bombers (which isn’t a good thing since I need more for brewing) so I turned to some beers I picked up while on a recent Grand Rapids, Michigan trip, that are 12 ouncers. In case you missed the excursion, I visited Siciliano’s Market who sells beer by the individual bottle. Yes, I walked away with a case of 24 different beers. I recently was listening to some podcast on drinking beer and the craft brewery owner, can’t remember which, said that you should not drink from lightest in color to darkest, but from less alcohol and lightest body to biggest beers. air jordan 7 Makes sense and it usually seems that light color = light beer. Not with craft beers. Now I don’t know if my tasting followed that premise, but I tried and I wanted to save the American IPAs for last since I enjoy them liking finding a $100 bill on the side walk. Home brew club meeting tonight. I am bringing my Pot Licker Chocolate Milk Stout to share. I am hoping to get some feedback to make it better as most of my friends have liked it and I haven’t received any negativity. I know there is no way my second beer is flawless. 🙂 Enjoy! This time of the year I really enjoy having an American imperial stout. The rich malts, complexities, and full body are appreciated in the cold months. Sea Monster Imperial Stout by Ballast Point Brewing Company fits the bill perfectly and was pleasantly appreciated. air jordan 10 The pour was dark with a small amount of brown foam that didn’t last with very minor splotchy lacing. The aroma and taste are filled with dark fruits (plum and raisins), chocolate, coffee, and sweet molasses. The chocolate is the stronger than the coffee in the flavor and leaves some creaminess and bitterness in the finish. The high alcohol is well masked but I thought I had a hit here in their in the aroma. Overall a real quality imperial that was easy to drink. I will try and get more of this and wonder how well it would cellar. 8/10 (could easily be a 9). Even though I drank the bomber by myself, there was something missing. Hops. Down went my second Hop Slam that I have yet to review. Maybe tonight. Enjoy! You are currently browsing the Sips blog archives for January, 2010.